Where does your 17 year old sleep? Where does the 17 year old boy sleep? In fact I did not see anything that was his. It looked like everything was the parent’s things. He sleeps on the main floor on the sofa/bench. The sofa is actually the same size as a twin-size bed. It look like it also opens up for storage, which is normal in tiny houses. I would guess he sleeps on the “lounge’ downstairs. I can’t see any other option. The house is really nice looking, and would make a great holiday home, but I don’t think anyone is living there full time. My thought exactly. The house is stunning but as a 17y/o you want and need some privacy. Not sure if this home can provide any. I am going to assume he is only there occasionally because there is no way a 17 yr old lives there full time! looks like he might sleep on the bench by the front door.. u know everything there is practical so it probably pulls out into a larger bed. I don’t think anyone lives here. Where’s their stuff??? Looks more like a model home. Not believable. 100% in agreement with you. This house is probably on their property and rented out via Airbnb. Jeez, dont you see all the dishes, the plants, the used towels, the half used toliet paper, the books??? Their stuff is all over the place. Most especially, the apple computer and the vita mix blender. NO ONE put that kind of stuff in a house and not live there. I would assume he sleeps on the bed that’s hidden away in the living sofa. As for his belongings, they’re likely tucked away neatly into one of the many storage areas. 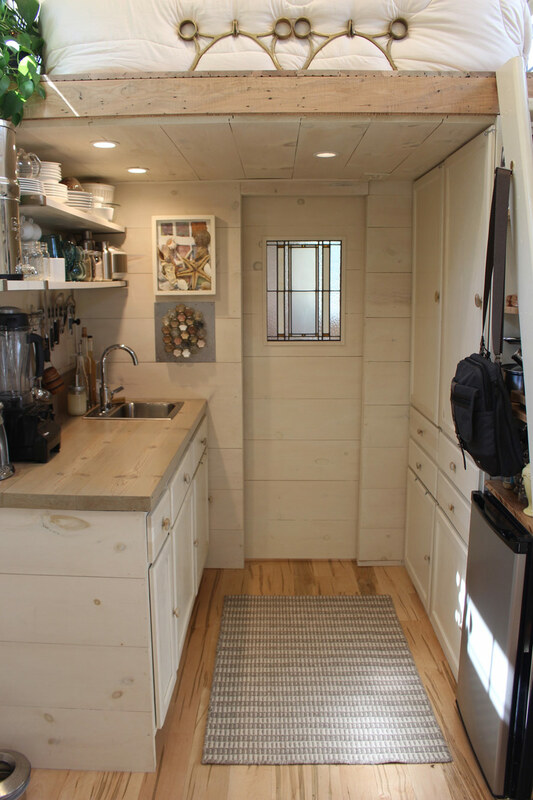 You’d be amazed at all the stuff that can fit into a tiny home, they utilize space much more efficiently then the common house. And you learn to live with less, mostly what you NEED and not all those possessions you purchase on impulse and use once then forget about in your closet or under your bed. It makes life simple, and cleaning up takes minutes not hours. I love tiny houses but this looks really uncomfortable. It doesn’t look like there is enough room to sit up on the bed in the loft. The son’s “bed” looks barely two feet wide and there is an obvious lack of privacy for adults and teen. There is not a comfortable place to sit anywhere. There are no cooking facilities. I do really like the use of light in the space and hope this is working out better for them than it looks. I think that is really nice. It looks like it would be great for one, maybe two people. How do they cook their food? Great house! If y’all read the original article you would see that the son sleeps downstairs on the sofa which is the same size as a twin bed. And there are not a lot of things laying around, because when you live in a small space, you have to downsize. Everything has to be cleaned up as messes are made, otherwise, it would just look like a lot of clutter everywhere. I LOVE LOVE IT….would do that in a hot minute….but no land to put it on….wish someone would rent me the land …. So, where does the 17 yr old hang out? Couch? It is gorgeous, but does not seem user friendly for 3 adults. 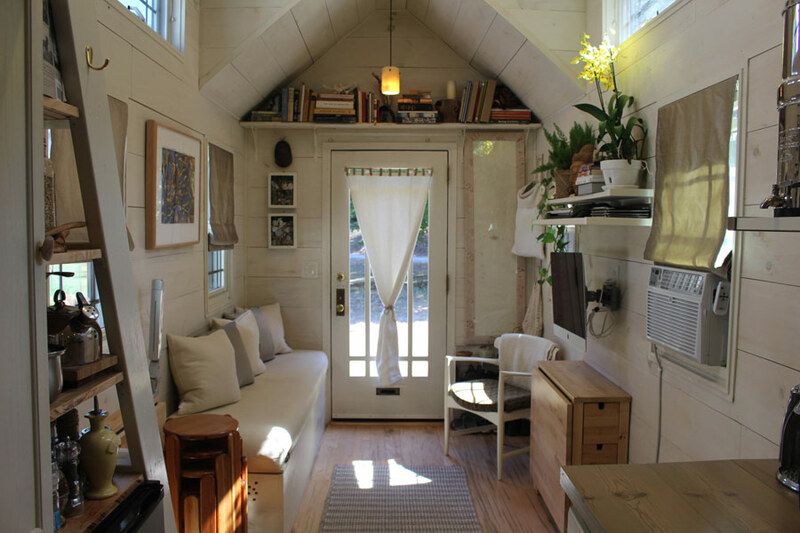 I would love a tiny home like this, but I have to wonder where on earth I would store my clothes and extra blankets, not to mention some shoes, boots and jackets? 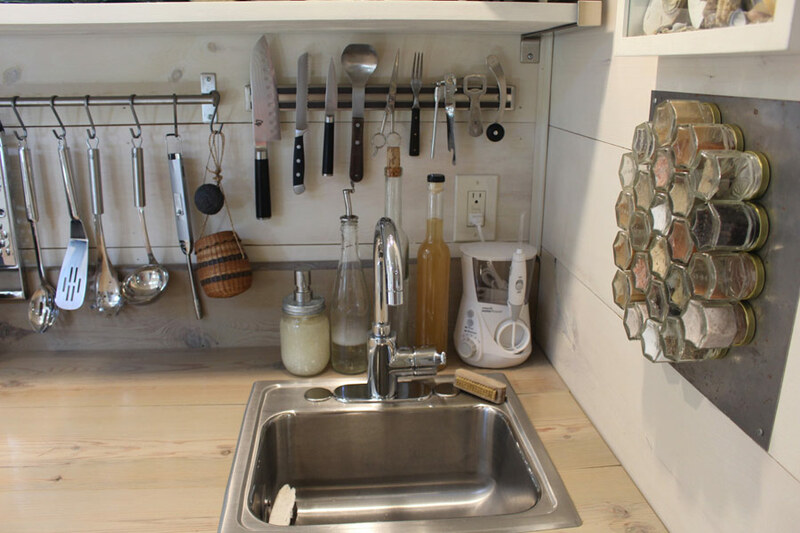 There are cabinets in the kitchen, but I would assume those are for food, pots and pans, dish-towels, dish-cloths, cleaning supplies, etc., and maybe some bath towels as well. If you watch the show Tiny House Nation you know how they like to hide things. I do believe the 17 yr. Old sleeps on the bench in the front room, that pulls out and has storage inside of it. Plus there are many hidden compartmants and tiny storage areas through the house. 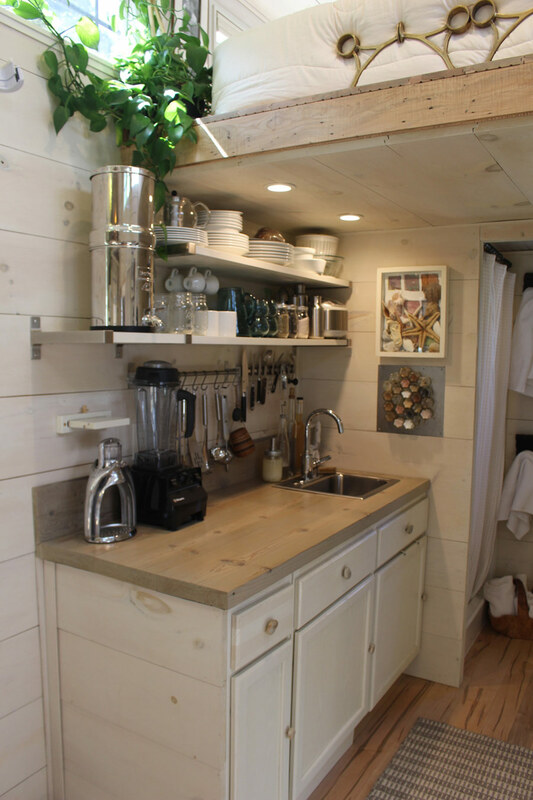 And in the bathroom that is a composting toilet., in the kitchen a small fridge. This is a great example of how to execute an interior with restrained use of harmonious materials to make the space seem larger. 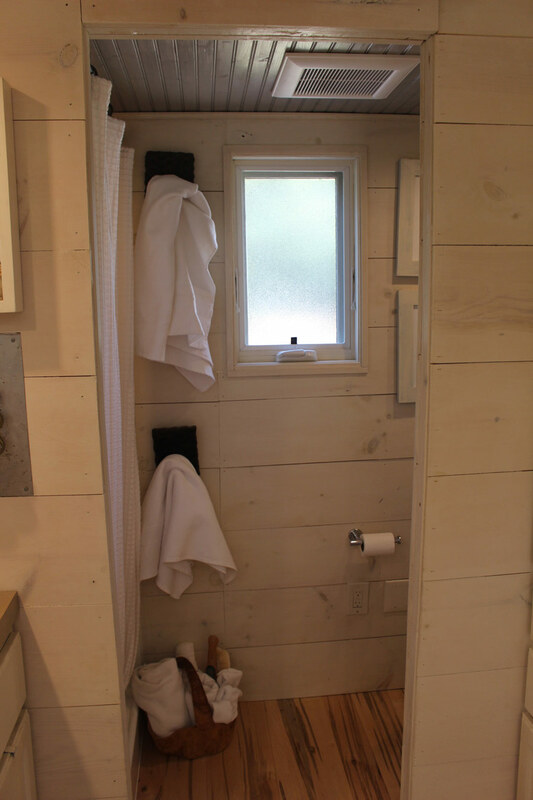 The horizontal whitewashed pine is really refreshing after seeing all those varnished pine plank interiors. I’d cut the tchotchkes down to about 50% of what’s seen here or store them away, but the rest seems really liveable. Great space planning. Nice to see plants, too. One of the best. Very lovely home. I’m afraid I’d knock all the stuff off the walls coming down that ladder! Beautiful home, very classy & clean. They keep all of their clothes & knick knacks in the storage bench (obviously), and that is probably where the teen sleeps too. Maybe they have a small storage shed for some of their things. It’s stupid for people to assume the home isn’t lived in just because it’s clean & uncluttered. Not all teens are slobs. 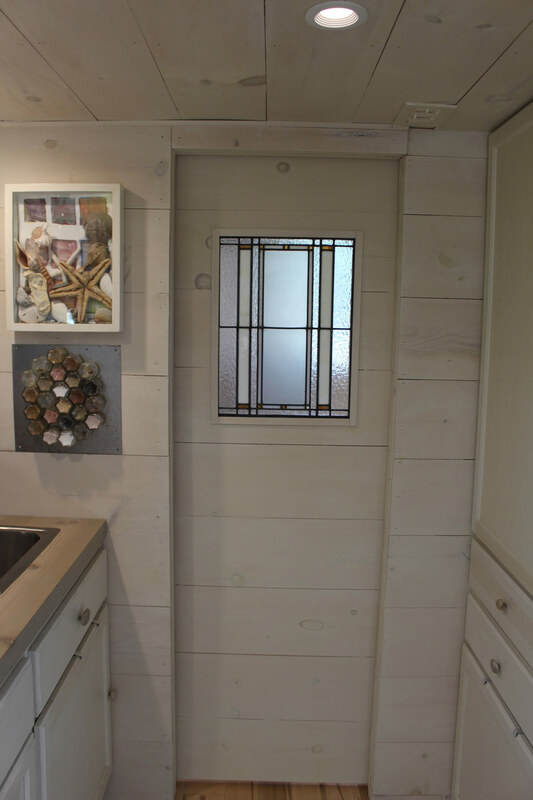 Love the window in the pocket door between the bath & kitchen. Lets light through while allowing for privacy. And a great design. 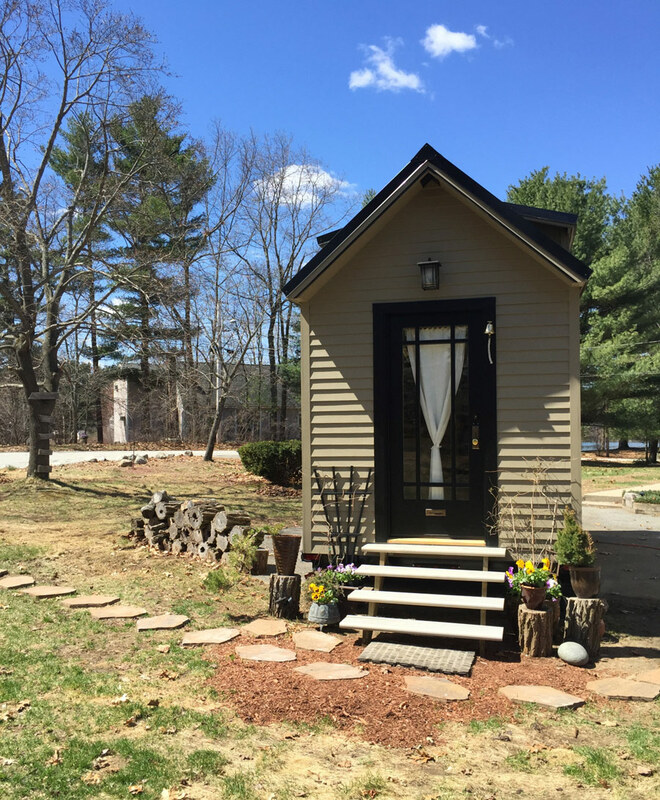 This tiny house is beautiful. What type of wood is used for the interior finish walls? Is it natural grain or has it been stained?